Despite lasting two hours, Apple's hardware event this week felt a bit light. The company announced just a handful of new products: the updated Apple Watch lines, the pretty-much-as-expected iPhone 7 and 7 Plus, and new wireless AirPods. For announcements that are usually product heavy and where we've been conditioned to hope to hear "one more thing" this year's September event felt somehow small. It also didn't help that numerous details about the new products had leaked out some time ago. So much for Apple's once-famous secrecy. Yet there were significant moments. The wireless AirPods -- an important release given Apple's decision to dump the audio jack in the new iPhones -- seem almost magical in the way they easily connect to multiple devices, charge and function. Multiple reports have described them as "fixing" the problem of Bluetooth headsets. What stands most about the AirPod announcement, once you go beyond what looks like an amazing user experience, is that in order to make them a reality, Apple had to design a custom low-power chip for them - the new W1. This really demonstrates Apple's growing prowess in designing its own chips to tackle the challenges many companies simply can't overcome because they rely on off-the-shelf technology. Apple's exactly new to designing custom chips. It's been creating its own processors for iOS devices since the original iPad was released six years ago. The new S2 System in a Package (SiP) in the Apple Watch Series 2 (as well as the revamped S1P) in the revamped Series 1 devices are both examples of how Apple is using its growing expertise to accomplish important tasks. And then there's the new A10 Fusion processor in the iPhone 7 and 7 Plus. The A10 combines two energy-efficient cores for preserving battery life during tasks that need limited power with two high-performance cores that take over for tasks with more demanding processing needs. This shows that Apple, which has often been criticized for losing its innovative edge in recent years, is now innovating at the level of the silicon. That's something few companies can truly replicate. As it becomes even more adept at this, Apple will be better positioned to take on more technical challenges that might once have been seen as either insolvable or too difficult. 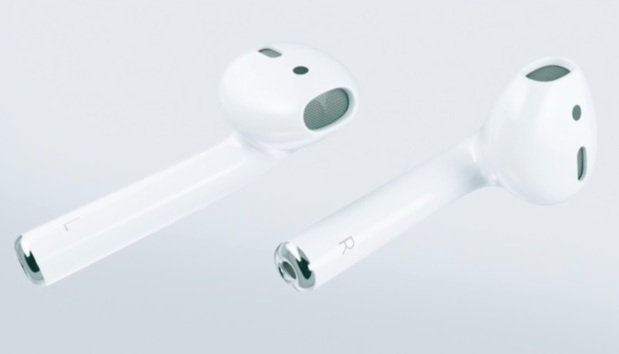 As a result, I expect that we'll see a range of devices from Apple like the AirPods in the coming years. These may not come in big new product categories, but they'll be innovations that solve problems people have complained about for years -- or things that people simply thought could never be done before. This isn't the first time Apple has ditched a commonly used port or some other piece of technology from its products, including technologies it had developed itslef. Firewire, SCSI, VGA, DVI, the floppy drive, and optical drives are all examples. The company has even dropped its own proprietary ports like the 30-pin iPod/iPhone/iPad connector that preceded the lightning port; the ADB originally used to connect Apple keyboards and mice; and the serial port used in Macs until 1998 to connect other accessories and for home/small office networking (not to mention some of its own networking protocols). The company also has no problem removing even relatively recent products from support for new operating system and app releases. Although Schiller's one word explanation of the decision seemed a little forced, it did highlight Apple's attitude in this regard. When Apple decides it wants to push its products or platforms forward, it has no problem eliminating technologies that could hold it back. There were advantages to Apple nixing the headphone jack, beyond simply allowing it to introduce the AirPods. One is that it freed up space inside the iPhone for other hardware, enabling the company to build more capabilities into the new iPhones without sacrificing size or weight. That is the same reason that the company phased out the original 30-pin connector from iOS devices. This is another way that Apple is a bit of an outlier. It is willing to axe things that it sees as preventing it from innovating effectively. Few technology or electronics companies are willing to do so for fear of alienating consumers. Apple's willingness to make such moves since the early days of Steve Jobs has allowed it to become an undisputed leader the in the tech world as a result. Interestingly, once Apple proves you can remove a legacy technology without a mass consumer revolt, other companies tend to follow; how many PCs do you see today without floppy or optical drives? How many phones out there still feature physical keyboards? As Apple likes to proclaim, it's a company that wants to push the world forward through technology. The iPhone 7 and the AirPods reflect both sides of the coin of Apple's approach to innovation: Don't tie yourself to the past. And be sure to build the resources needed so you can make the silicon or other hardware needed to tackle challenges others see as too difficult or even impossible. That's called innovation. And it's alive and well at Apple.